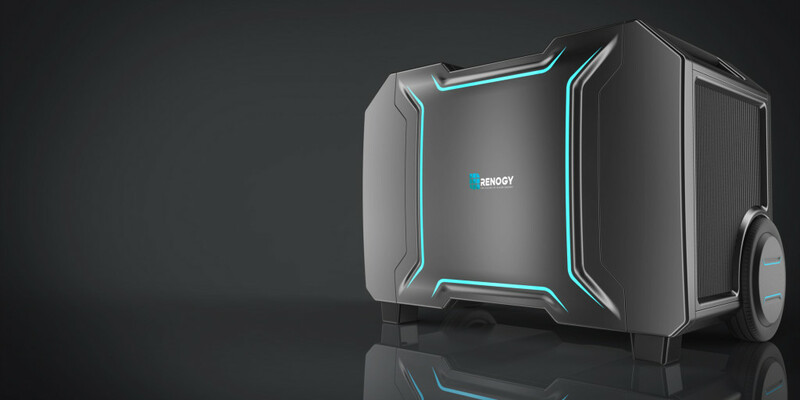 Solar panel manufacturer RENOGY has announced the Lycan Powerbox that could help to reshape the mobile energy space. It is a solar powered generator that takes the energy of the sun to provide power in the case of an outage. Lycan Powerbox is, world’s first personal energy solution that has the ability to transform the power of the sun into easy to use and maintaining a charge without dependency on other fuels. Lycan powerbox uses a replaceable Lithium-ion phosphate battery which enables you to extend the generator’s power life. Renogy says about the battery is that “it it the most reliable and cleanest battery in the world and you just plug the appliances in and forget about energy issues”. The Lycan powerbox can fully charge in 9 hours by the using of single 100-watt solar panel and with the two 200-watt solar panels it can take 4 and a half hours and with the 300-watt three solar panel it can take 3 hours. Lycan Powerbox also charged by a wall outlets and the car charging input in 7 and-a- half hours. You can charge multiple items such as smartphone, TVs, laptops, microwaves, refrigerators, lamps, cameras and medical appliances. The internal battery of Lycan Powerbox is capable of producing 900watt per hours that can charge in three hours that enough to run a refrigerator and televisions. The Lycan Powerbox comes with a Dc input , a 12v DC output socket, three 5v USB port, three 110v AC output along with an LCD display.The Lycan Powerbox is available for pre-ordering in the website on Indiegogo.com for the discounted rate of $1449 that set to ship in August.